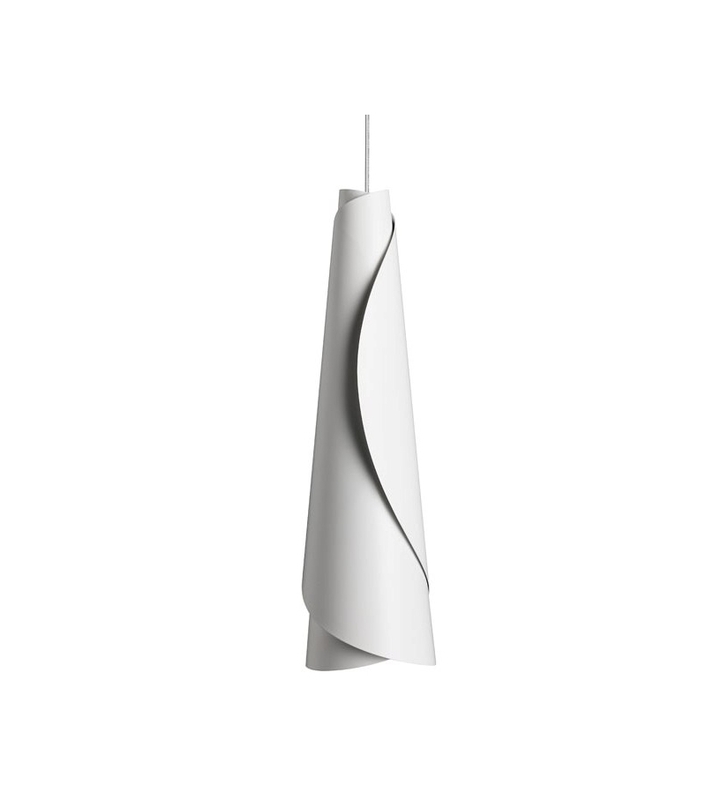 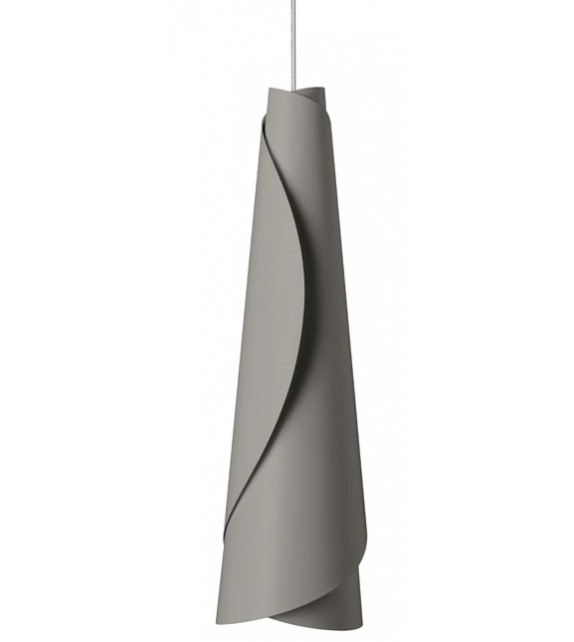 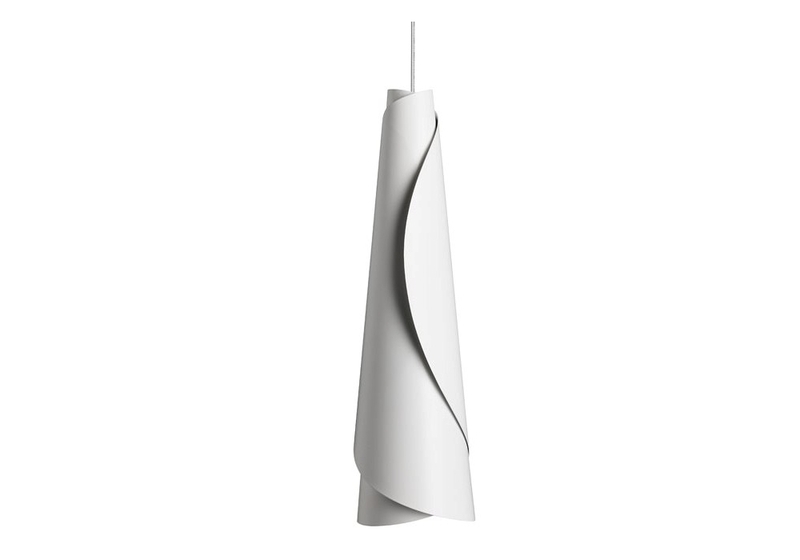 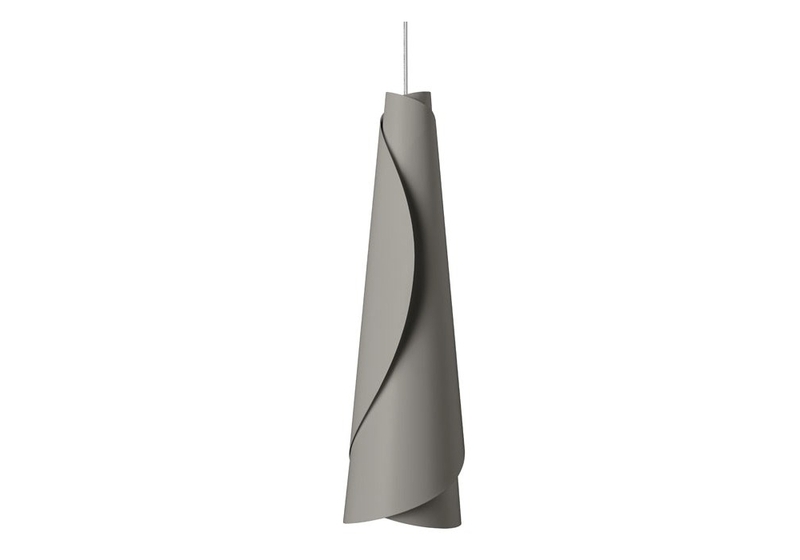 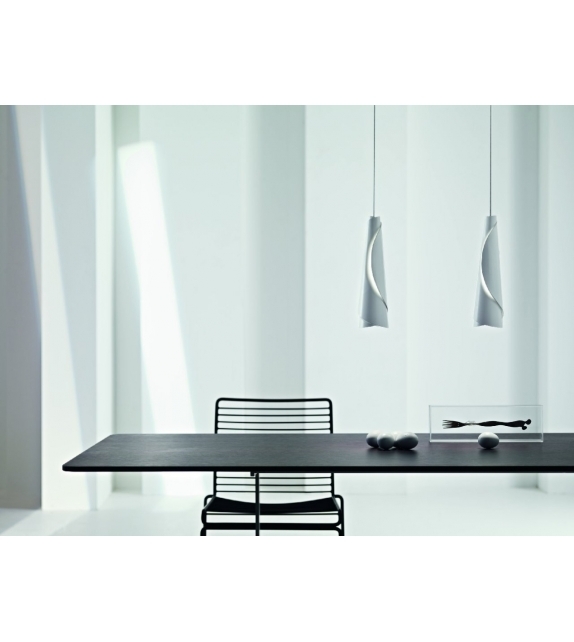 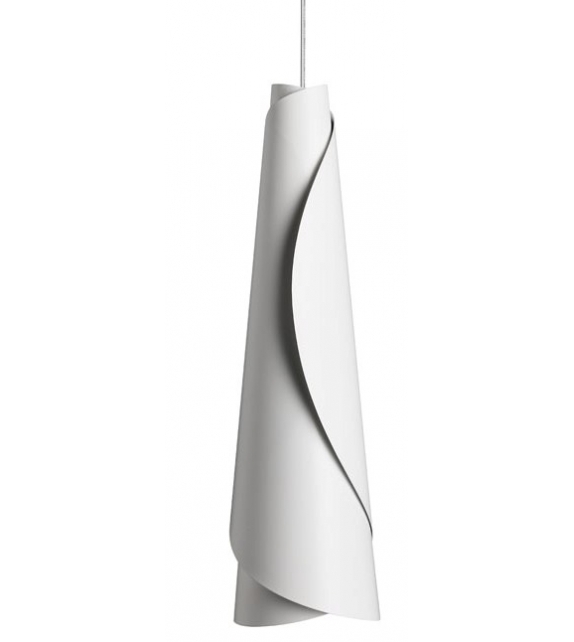 Foscarini, Maki suspension: A small suspension light in lacquered alluminium available in two colours: classic white and warm,intense grey. 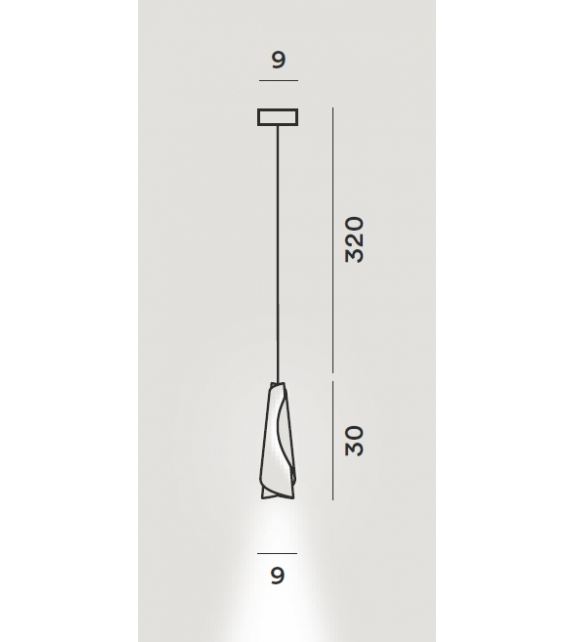 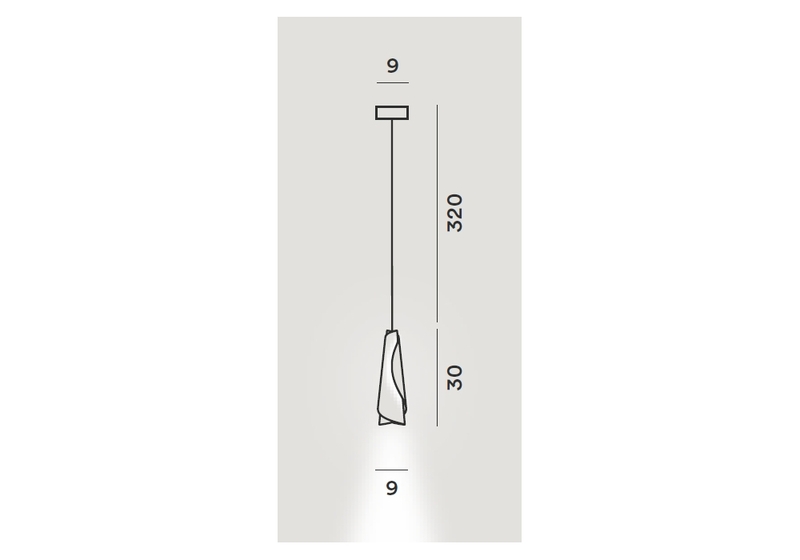 It provides direct, precise light. 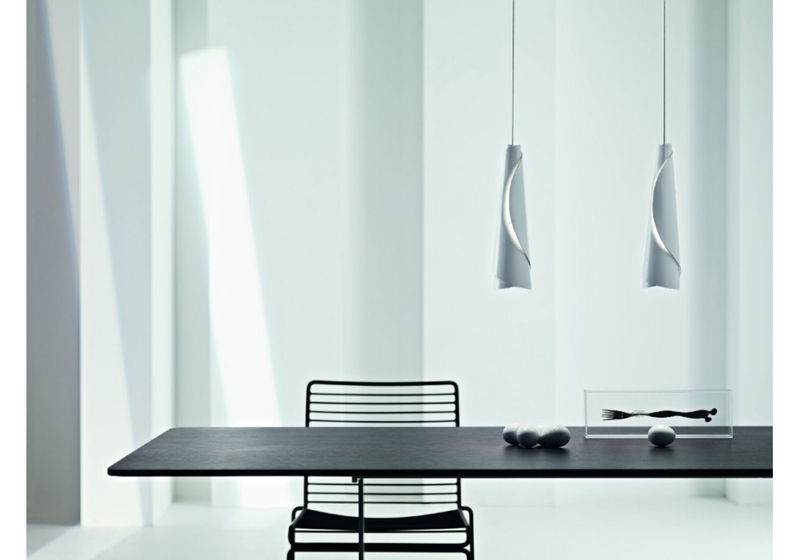 The dual lighting effect that characterises Maki creates a suggestive theatrical effect.